A collection of new essays on notable historic and contemporary Basques of America's Far West that offers a perceptive and lively examination of the lives of one of the West's most resilient and successful ethnic minorities. 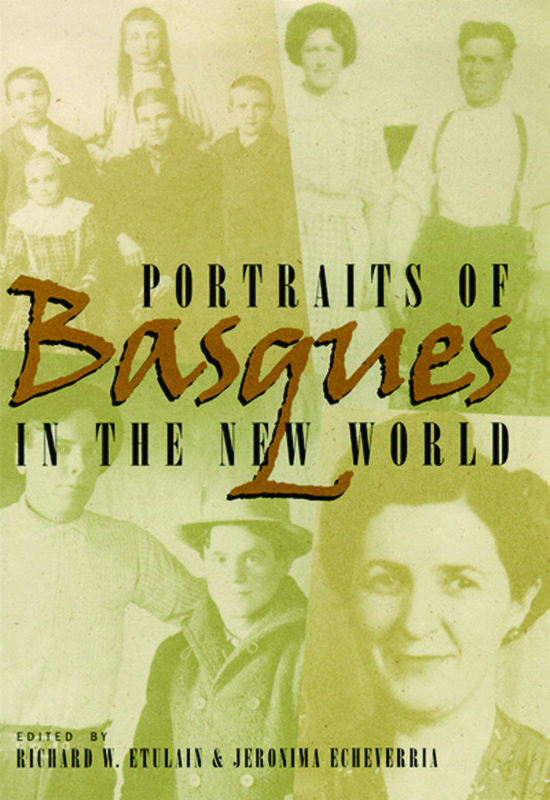 It is essential reading for anyone interested in the Basque people or those interested in the process of immigration and assimilation: these profiles illustrate how America's Basque immigrants have achieved success in mainstream society while retaining strong ties to their ancient Old World culture. Richard W. Etulain specializes in the history and culture of the American West and modern US. His PhD is from the University of Oregon (1966). He taught at Idaho State University (1970-79) and from 1979 to 2001 at the University of New Mexico, where he directed the Center for the American West. He has lectured abroad in several countries. Etulain is the author or editor of more than 40 books, including:The American West: A Twentieth-Century History (coauthor, Nebraska, 1989), Writing Western History: Essays on Major Western Historians (1991; Nevada, 2002), Re-imagining the Modern American West: A Century of Fiction, History, and Art (Arizona, 1996), Portraits of Basques in the New World (coeditor, Nevada, 1999), Telling Western Stories: From Buffalo Bill to Larry McMurtry (New Mexico, 1999), The Hollywood West (coeditor, Fulcrum, 2001), César Chávez: A Brief Biography with Documents (editor, Bedford Books, 2002), Wild Women of the Old West (coeditor, Fulcrum, 2003), Western Lives: A Biographical History of the American West (editor, New Mexico, 2004), and The American West: A Narrative History, forthcoming. Etulain’s essay “The American Literary West and Its Interpreters,” was selected the best essay in western history for 1976; his books have received numerous awards and recognition. Professor Etulain also edits five series of books in American and western history. Jeronima Echeverria is Associate Dean of the School of Social Sciences and Professor of History at California State University, Fresno. Among her fondest childhood memories are the southern California sheep ranch where she grew up, the Spanish Basque parents who raised her there, and the ethnic boardinghouses she visited with her family on Sundays and special occasions.